As a business leader, you work hard to ensure that your company has all the resources and materials it needs to achieve operational and strategic goals. However, you may be missing the one crucial resource that isn’t just vital to your company’s day-to-day operations; it’s also critical to your company’s growth. Information technology, or IT, provides a solid foundation for businesses to conduct daily operations, enhance their company communications, increase workplace productivity, and provide a layer of security for confidential data. In short, information technology can give your business the boost it needs to compete at a higher level within your industry, no matter what your size or the number of employees you have. Network Installation and Office Setup: This can provide your company with the hardware and software it needs to perform day-to-day operations at an efficient level. Onsite and Offsite Maintenance and Support: IT needs don’t end with network installation; IT companies should provide you with ongoing support in case you encounter problems with your information technology. VoIP Installation: IT companies can make workplace communications easier with high-quality VoIP installation. Employee Training: Hardware upgrades and network installation can leave your employees feeling confused or uncertain; that’s why it’s critical to use an IT company that provides comprehensive yet user-friendly employee training. Security Cameras: An IT company can provide you with security cameras, so you can protect your company from theft committed by customers and employees. Server Upgrades and Desktop Support: Your server needs may change over time, which is why it’s critical to use an IT company that can provide you with upgrades and support as you need them. As you can see, an IT company can provide your business with the foundation it needs to build a successful and long-lasting business. Ensure that you make an IT outsourcing company part of your business strategy, as it can lead to more productive employees and a bigger bottom line. 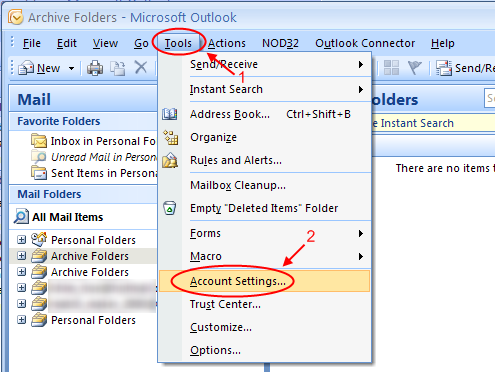 How to set up yahoo mail in Outlook 2007. When it comes to ensuring the success of your business, you know that choosing the right suppliers and consultants can play a critical role. This is especially true when it comes to choosing the right IT outsourcing company. As more small- to mid-sized companies use technologies to conduct business, it becomes increasingly apparent that the right IT outsourcing company can enhance efficiency, increase productivity, and even boost bottom lines.